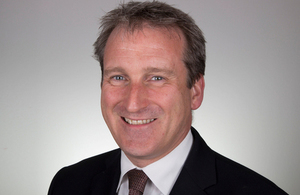 Education Secretary Damian Hinds today (20 March) marked World Social Work Day by setting out a series of measures to raise the status of the profession and praising social workers for the difference they make in supporting children and families in their care. The Department for Education has announced two new appointments to work closely with the social work profession and share best practice across the social care system. Lord Patel of Bradford, a former social worker, will chair the new dedicated social work regulator, Social Work England, which will set professional, education and training standards for social workers. Former Children’s Minister Edward Timpson will chair the independent Child Safeguarding Practice Review Panel to consider and share the learnings from the most serious child safeguarding cases. "The job social workers do couldn’t be more important and yet they are often the unsung heroes of our society. "World Social Work Day is about recognising the real difference they make to children and families who find themselves in some of the most difficult circumstances, providing life-changing care and support. "This Government wants to carry on raising the status of the social work profession which is why we are helping them improve their skills and develop their careers in the interests of the children who need them." As chair of Social Work England, the new dedicated regulator, Lord Patel of Bradford will bring his experience as a former social worker to make sure the workforce’s views are put at the heart of its development. The new regulator, jointly set up by the Department for Education and the Department of Health and Social Care, will also make sure all registered child, family and adult social workers have the correct qualifications and meet the standards required for the job and remain fit to practise. "I am honoured and excited to have been appointed as the chair of Social Work England. As a former social worker I am passionate about our profession and truly believe that social workers do and can help to transform lives for the better. However, I know that our profession currently faces unique pressures and challenges. "Supporting and sustaining good social workers requires a strong, confident and effective regulator, so I want Social Work England to not only lead the way in driving up standards, but also to work collaboratively with the profession to ensure that all standards are evidence-based, rooted in real experience and values, and are fit for the 21st Century." The Child Safeguarding Practice Review Panel, chaired by Edward Timpson, is responsible for overseeing reviews of serious child safeguarding cases which the panel believe include complex or nationally-important issues. It will make sure the findings are shared nationally to inform safeguarding policy and best practice. "Nothing is more important than keeping children safe. That’s why I’m delighted to chair the first ever legally-established national panel, working with its members and others to ensure that reviews of serious cases involving children lead to real, meaningful and enduring improvements to child safeguarding practice across the country." • New standards for qualified child and family social workers to follow, set out in the Knowledge and Skills Statements, which clearly define what social workers should know and be able to do. This follows a consultation through a series of roundtable discussions around the country. • Confirming grants worth £3.5 million for 21 sites taking part in phases one and two of the National Assessment and Accreditation System for children and family social workers. The scheme aims to establish career paths, helping to develop good managers and leaders of the future. • Setting up a board for the What Works Centre for Children’s Social Care, announced in December, and the testing of innovative approaches to the development, sharing and adoption of evidence with a small number of pioneer councils. • Encouraging local areas to apply for a role as ‘early adopters’ of the new, stronger safeguarding arrangements, which place equal responsibility for keeping children safe on councils, police and health workers. "Today, on World Social Work Day, we celebrate our vital public service contribution as we continue to build a stronger, more intelligent and responsive practice system across England. Announcements today that Lord Patel of Bradford and Edward Timpson will respectively lead Social Work England the national Child Safeguarding Practice Review Panel is indicative of the continuous progress we are making. I am delighted they are joining us in this inspiring journey. "These new institutions, alongside the expansion of Partners in Practice, the launch of the What Works Centre and the introduction of post qualification accreditation all demonstrate that Government is investing in social work."